Josef(*1828) Vyborny is the patriarch of one of the two large Vyborny families of the Great Plains in the United States, Jan(*1811) Vyborny being the other. Josef was a founder and the original mayor of Tabor, South Dakota. Josef Vyborny was born on December 4, 1828 in Radovenisce, Caslav region of Bohemia. He came to America in 1868, with his wife, 5 children and elderly father, Josef Vyborny Sr. 80 years old at the time and the older brother of Jan(*1811) Vyborny. The cause for their emigration may have been the consequence of a battle near Hradec Kralove in which Austria lost its leadership in the Austria-German Union which affected Czechs negatively. 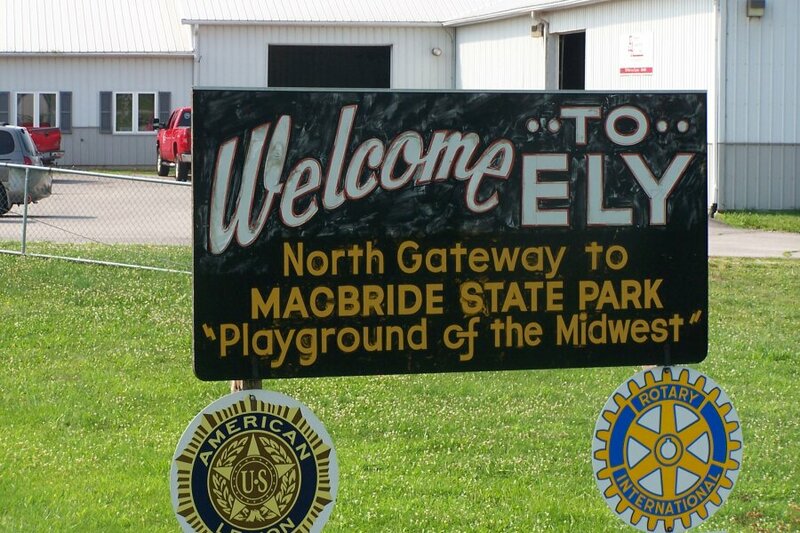 The family settled in Ely, Iowa for two years on a 40 acre farm along with their cousins from the Jan Vyborny line. In the spring of 1870, Josef set out alone with his family and a team of oxen and safely arrived in Yankton. In July he took up a homestead a mile and a half north of Tabor. For a time the family lived their in the covered wagon until a sod house and hay covered shed was built, which served as their home for a few years until a more substantial house could be constructed. When gold was discovered in the Black Hills, Josef went there with a party of miners. He remained a short while, then returned to his homestead. Mr. Vyborny was a prominent person and always took interest in the early Tabor community, being its principal founder and its first mayor. He was also instrumental in organizing the first public school and the construction of the first Roman Catholic church in 1874. The church was constructed of chalk rock, which was cut near the Missouri river and hauled to Tabor, where a building 24/50 ft was constructed, with all the labor donated. Tabor had a traditional July 4 celebration; Josef Vyborny spoke at the first in 1873 at the log school (which was restored in 1976). This speech has been lost. Another given in 1888 was written out in pencil and eventually translated into English by Laddie Kostel of Tabor and published for the 1976 Bicentennial celebration. Mayor Vyborny's Independence Day remarksof 1888 are excerpted below. Mayor Vyborny then gives a detailed description of events leading to the American Revolution and the Declaration of Independence, continuing further. And after further discussion ends. Josef Vyborny farmed the homestead for five years and then purchased a tavern that he managed until 1891. He then sold out and moved to Tyndall with his wife where they spent ten years in retirement. Then, in their old age, they moved to live with their son Joseph on the old homestead where they spent the rest of their lives. Josef died June 4, 1908, and she followed him to eternity two years later. They were both buried in the Catholic Cemetery in Tabor. Gravesite of the Vyborny family, Tabor South Dakota. Josef and Alzbeta (Elizabeth) SIMAN, had five children, Maria (Bessie) V.Teibel, Josefa (Josephine), Aloisie (Louise), Anna, and Joseph. Josef showed the pioneering spirit that was so typical of those who successfully settled the Great Plains of the United States. He is remembered to this day as a historical figure in his part of South Dakota. It has been family tradition that Josef(*1828) was the nephew of Jan(*1811), although solid documentation of such was not available in documents written in the United States. The Book of the Vyborny family, gives circumstantial evidence for this relationship. The book records the birth of a Josef(*1800) Vyborny of the Kresetice line who was the older brother of Jan, further recording that Josef did later emigrate to the New World with one of his sons. Definitive documentation of the relationship between Josef(*1828) and Jan(*1811) has been established by records obtained from the archives in Prague by Leigh Wyborny of Houston. These show that Josef(*1828) was the son of Josef(*1800) who, in turn, was the older brother of Jan(*1811). The age of Josef Sr. upon his arrival in the New World was therefore 68 years rather than the 80 years stated above, the former being a more reasonable age for sea travel during the middle of the nineteenth century. 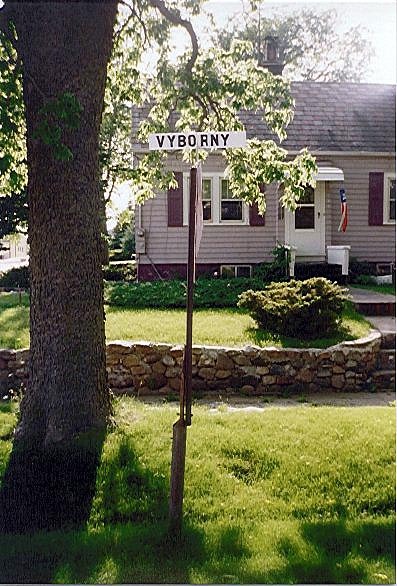 Click here for another picture of Vyborny Street.